Last week-end, 9 teams and 36 players attended the Open of Traiskirchen in Austria. 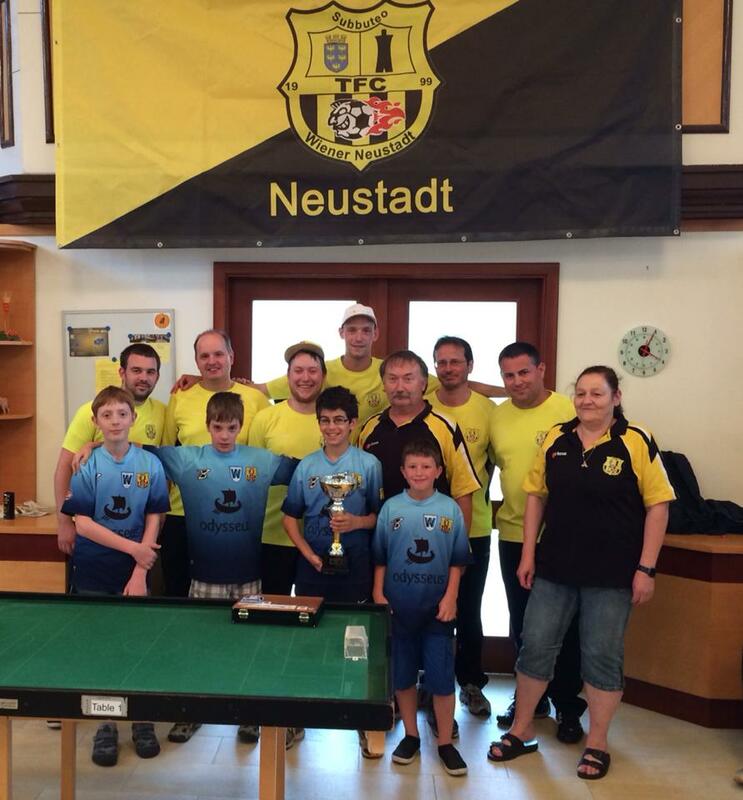 The home team of TFC Wiener Neustadt took the honors in the team event as they beat the German side of Sparta Spreeathen 78/82 by a clear 2-0. Bjorn Kegenbein (Sparta Spreeathen 78/82) took his revenge in the Open category as he beat Erich Hinkelmann (Mattersburg) in the final while Christian Blümel and Marcel Kwiatkowski reached the semis. Erich Hinkelmann won the Mattersburg derby against Robert Lenz in the final of the veterans. The other individual winners were Marcel Kwiatkowski (U19), Fabio Bianco (U15) and Alwin Krause (U12). The ocnsolation tournament also counted as a WASPA event with 7 entries playing a group stage. Alwin Krause took the honors!